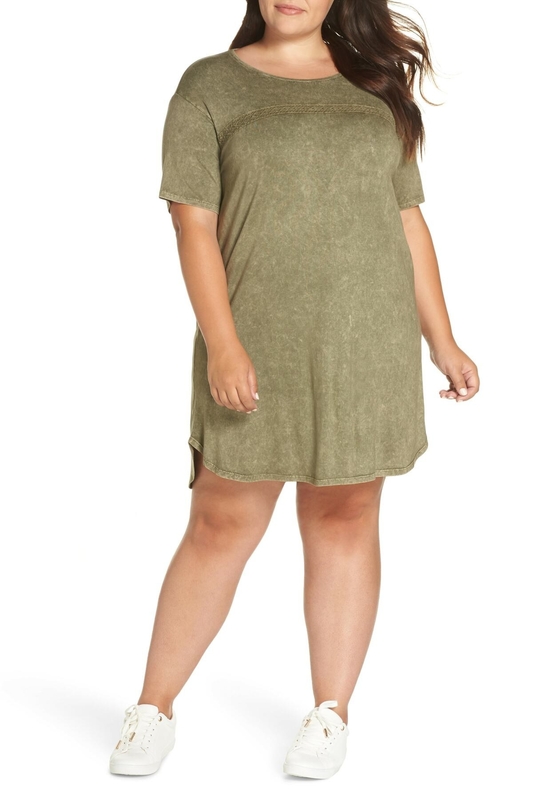 This skater dress costs $5.99 — I've bought pizza that costs more. Want to know what love is? Love is Nordstrom Rack — where you can find amazing designer pieces at up to 70% off retail price. It's a thing of pure beauty. They've now decided to make me love them EVEN MORE by having a huge clearance event — where products are now so affordable, it almost hurts. Dresses for $5.99! Nars eyeshadow for $5.20! And the beautiful list goes on. YES, you can score everything from Rebecca Minkoff watches and Adidas sneakers to hoop earrings and the perfect little black dress — all so incredibly discounted, your morning breakfast might cost more. Note: The sale runs until 3/31. 1. A mock neck skater dress that currently costs less than $6, which is about the price of two deli-bought iced coffees. 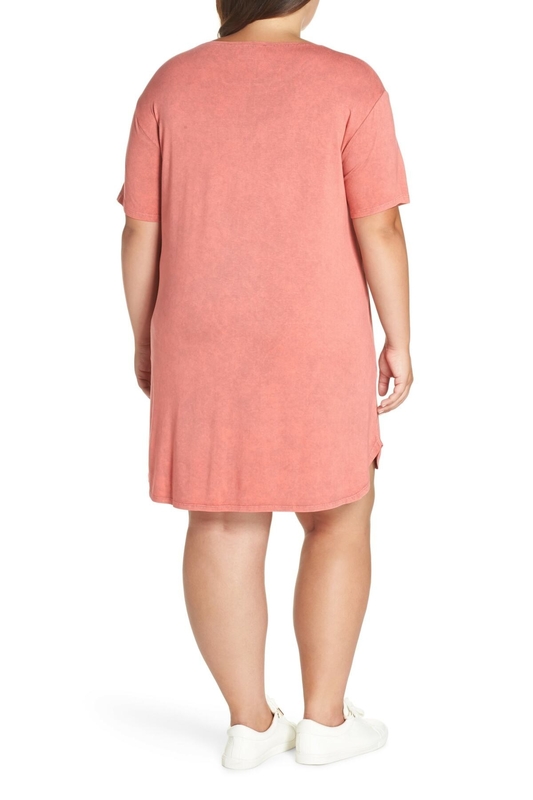 I don't use the phrase "practically free" often, but when I do... it's in regards to the below dress. 2. A cotton-blend blouse sure to become your "I don't know what to wear so I'll just wear this" top. Fashion emergencies, meet your go-to savior. 3. Peep toe ankle boots with an itty bitty block heel to give you some added height without feeling like torture devices in the process. Aching feet? Won't be a problem with these beauties. 4. 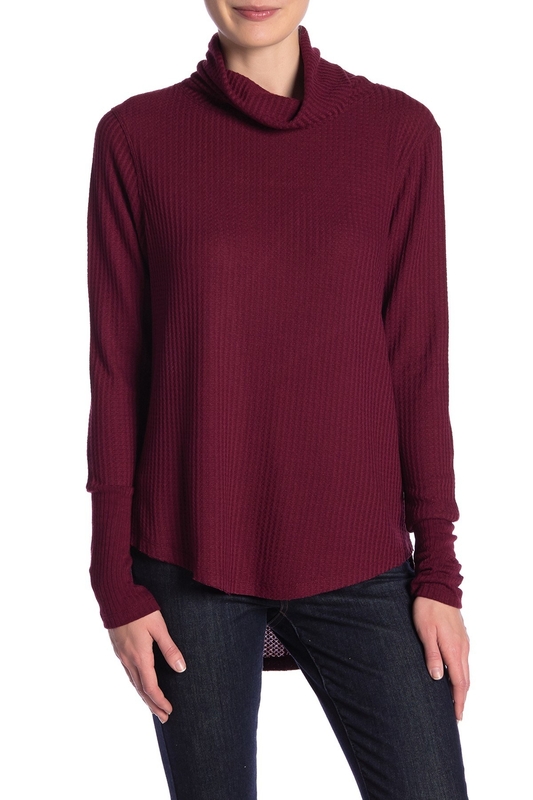 A keyhole neck top appropriate for any time and place. You can wear this to the office under a blazer, and then proceed to take OFF said blazer on your way to happy hour drinks. 5. 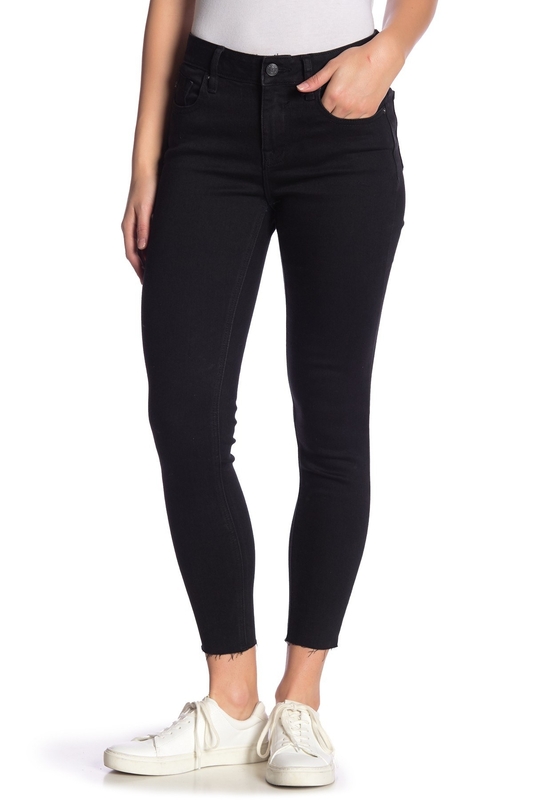 Vigoss mid-rise jeans with a cropped hem, meaning these denim babies will hit right at your ankle without awkwardly bunching up over your shoes. 6. A Nars shimmer eyeshadow available in a matte teal and silver hue to really make your eyes pop. The formula is also crease-resistant and long-wearing, meaning it'll *actually* last during a night out — through sweaty dancing and all! 7. A plaid button-up with a price tag sure to inspire an audible gasp. This go-to basic *will* steal your heart, but it *won't* steal your savings... a very important distinction. 8. 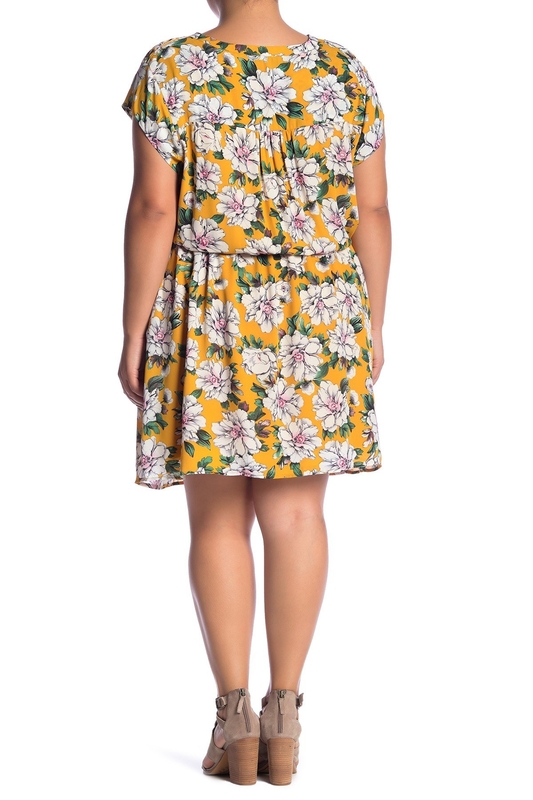 A drawstring waist pleated dress so gorgeous, it'll make your spring allergies seem significantly more bearable. Sure, you're sneezing every five seconds! But at least your outfit is on point! And that's all that really matters. 9. A Steve Madden crossbody in a very rare shade of BLACK, meaning it'll go with absolutely everything in your closet. Whether you're wearing bright pink or (surprise) more black, this bag will never clash. 10. A Rebecca Minkoff wrap watch guaranteed to become a part of your daily life. You'll never want to leave home without your wallet, your cellphone, your underwear, and this gorgeous hunk of studded leather. 11. A lace trim shift dress that is both very comfortable and very versatile, meaning it checks off all the boxes when looking for a wearable soulmate. 12. A V-neck tee you can hypothetically wear every single day. Pair this with some go-to jewelry, your favorite denim, and BAM! You're now both comfortable and stylish, and it took about 0% effort. 13. Something Navy cowboy booties for trendy folks who don't want to spend a small fortune on white footwear. These are actually 86% off, so if you do spill red wine on 'em? It won't be *quite* as tragic. 14. A ruffle hem sheath dress that you will likely be wearing to every semi-formal occasion on your calendar. You're welcome. 15. Mid-rise cuff shorts because denim shorts season is almost BACK, baby, and what better way to celebrate than by adding a new pair to your arsenal? 16. BaubleBar hoop earrings that are as versatile as regular hoops — but better. Let's get a round of applause for that layered disk detailing, which gives these ear accessories an extra dose of va va voom. 17. 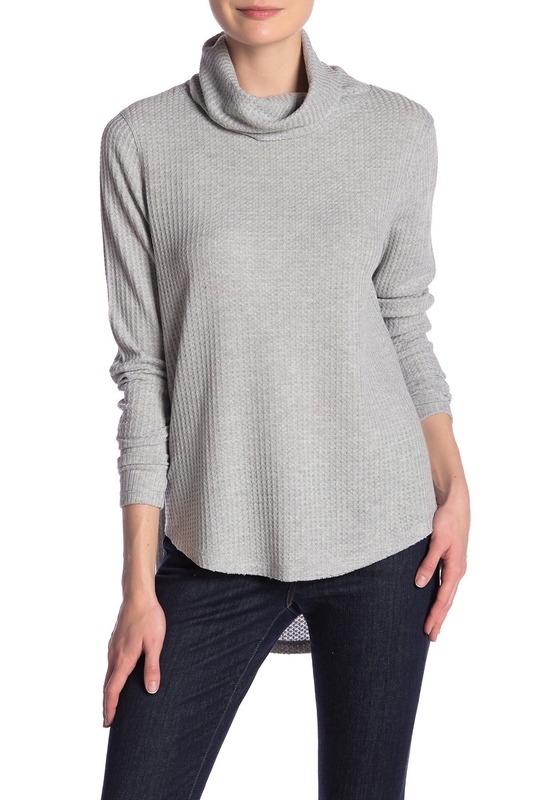 A hi-lo tunic made with a super lightweight and breathable waffle knit material. So if those pesky April showers come with humidity? This won't make you feel like you're trapped in your own sweat. 18. A pleated ruffle blouse you'll find yourself grabbing over and over (and over) again. Folks, say hello to your new go-to wardrobe staple. Please remember to wash it every once in a while. 19. An open cardigan to keep at work because — despite the warmth outside — you know the office AC will be bumping. You'd likely freeze to death without the help of a sweater. 20. A three-piece Burberry gift set complete with a perfume, a full-sized liquid lipstick, and a mini mascara. I will leave you with this: Mother's Day is coming. The My Burberry perfume is infused with notes of glazed pomegranate, crisp apple, and rose petal sure to be love at first smell. 21. Lace-up Adidas sneakers featuring a cushioned heel and padded footbed here to deliver some serious C-O-M-F-O-R-T. If athleisure is your lifestyle, these kicks will become your oxygen. 22. A Lucky Brand leather satchel that is the ideal "I can wear this every single day with any freakin' outfit" kind of accessory. Shop the rest of the Nordstrom rack clearance sale!